We’d never been to Krakow before, but we heard it was 1) pretty, 2) cheap, and 3) easy to get to from Prague. Sold. The problem is, we had just spent a month in Prague, the most beautiful city I think I’ve ever seen. Krakow had a nice castle… but it wasn’t quite as beautiful as Prague’s. It went like that for most everything. Ali celebrated Poland’s Constitution Day with a miniature flag while Annabelle celebrates it with a miniature nap. Still, it didn’t take long to get over the comparisons and start enjoying Krakow without Prague overshadowing it. There were park areas ringing the old city that were great to walk through, and a dude in the church tower blew a horn at one of the windows at the top of the hour. Unique for sure. We also managed to catch Constitution Day! Checking out the dragon’s lair cave. Annabelle is asleep, again! Not the most vigilant of babies. 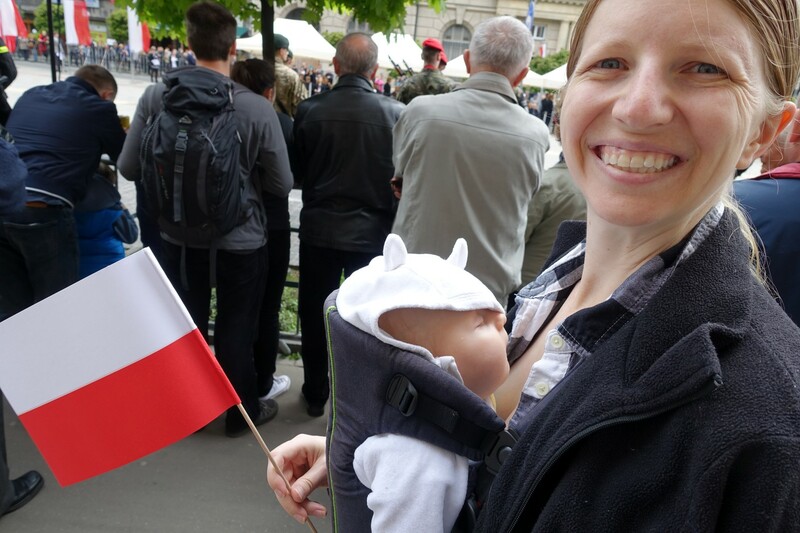 I celebrated my first Mother’s Day as a bona fide mom in Krakow. Joe was in Copenhagen for the weekend (the sacrifices you make while traveling the world, right? 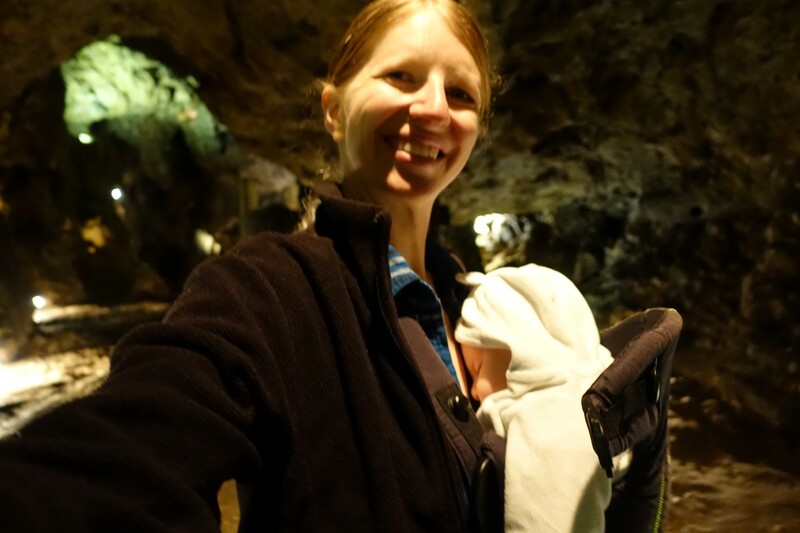 ), so Annabelle took me out for a delicious chocolate-syrup-covered waffle and then we walked—well, I walked, she hitched a ride, the lazy baby—over to the castle to see the dragon cave. 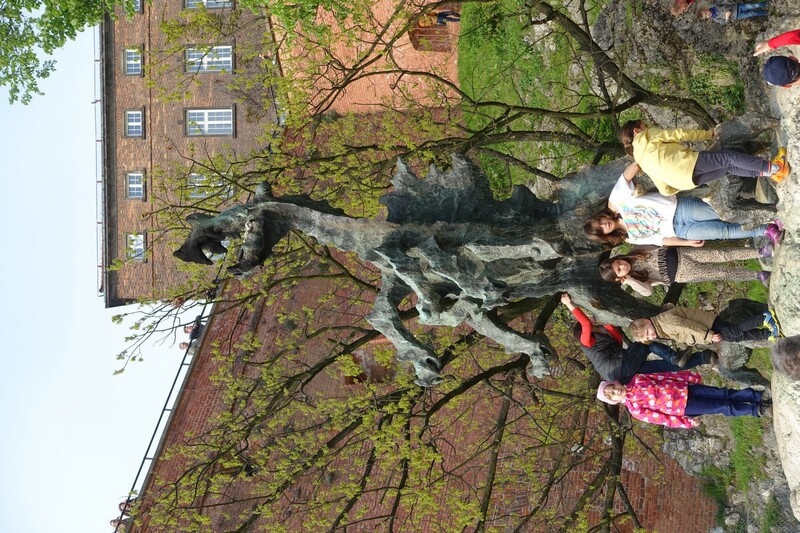 Yeah, Krakow has a dragon cave. It’s part of the story of the city’s founding, and the castle is built over it. We bought our tickets and walked down a bunch of steps until we reached a series of pretty caverns, which we explored for awhile before making our way to the exit, which is watched over by a large dragon statue that spits fire every few minutes. Treats and dragons: That’s my kind of Mother’s Day! Propaganda works. We need to be very careful what we teach our children. 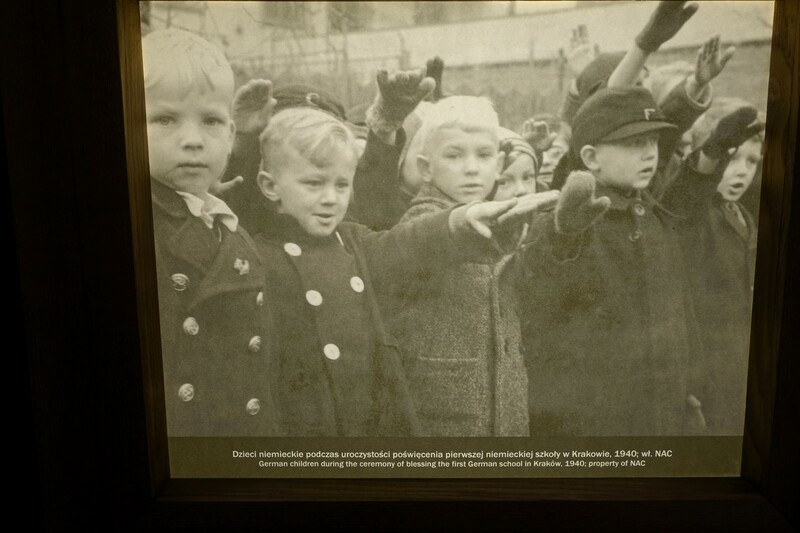 After Joe got back to Poland, we took a trip out to Schindler’s factory. It was moving to hear the details behind his famous story and get a feel for how clever the man was. He saved so many Jewish people while also keeping his business successful and staying safe himself. It was quite the story. Seeing pictures of Krakow’s main square, an area we walked through a dozen times, filled with Nazi soldiers was mind-blowing. There’s something very emotional about walking in the same spot that hugely important pieces of history occurred. 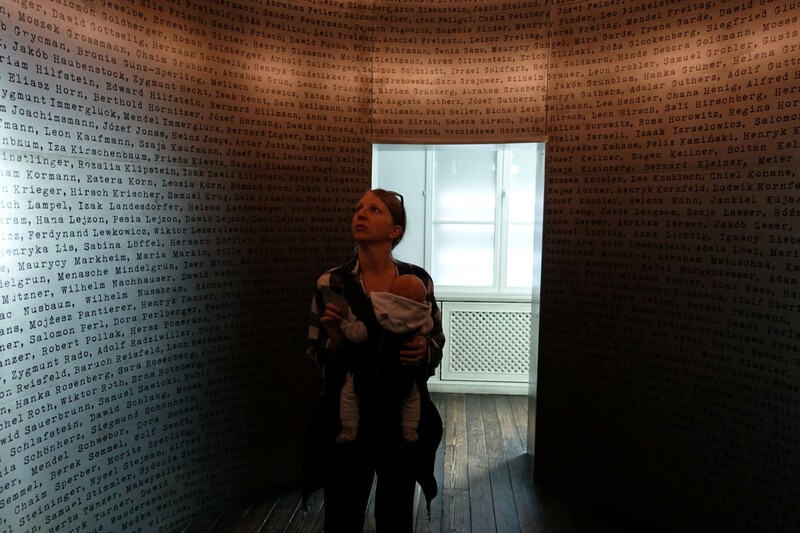 Ali contemplating the names on the wall in Schindler’s factory. Most of our time in Poland was spent wandering around the streets of the old part of Krakow, eating Goulash and pierogies. While the city might not rank as high as Prague on our list, it was beautiful in its own right, the history was awe-inspiring, and the food was delicious. What more could you ask for? “She hitched a ride, the lazy baby” … I actually laughed out loud at this line. Another giggle came from the photo caption showing Annabelle’s lack of vigilance!